Nice but... Overall, I was pleased with this purchase—price was good and it was shipped in a timely manner—but buying a watch without being able to look at it in person is somewhat problematic. 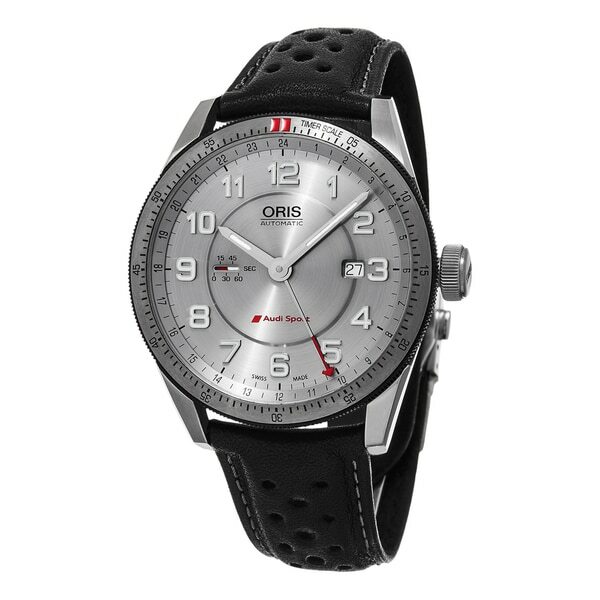 This watch is nice and priced considerably below Oris's "retail," ($2,500ish I think) though not that much below what others carry it for (still, well worth buying it here). My issues surround the readability of the watch (something I would have been able to evaluate much better in person). First, the lack of contrast between the hands and dial make it difficult to tell the time at a glance—this is important to me. Second, the way the watch counts seconds is a bit silly (and useless for timing anything). And lastly, all dial and bezel markings are made for someone with much better eyes than mine—don't let the picture fool you, it's much harder to read in person. So, all in all, I was a bit disappointed with the watch but I understand that that is based on my specific criteria—yours may be very different. On the plus side, the watch is aesthetically pleasing, keeps good time, and seems to be of high-quality construction; if you do not share the aforementioned concerns, I would think you would be very pleased with this watch. But for me, I am still in the market for a go-to GMT/UTC watch. Over 100 years Oris has been making watches in Switzerland. Our watches are purely mechanical and are marked out by their distinctive design as well as the red rotor, the symbol of Oris mechanicals. This was my first purchase from Overstock. Shipping was extremely quick. The watch is very nice and feels expensive. The face is large and easy to read. The bezel has rubber on the edge for good grip and a positive click when it is rotated. The leather strap is soft and comfortable. Deployment clasp feels secure. All pros and no cons. Would highly recommend to a watch enthusiast. Love love this watch ,great customer service.